Clare first “met” NPA at a one-day Experiential in 2010, and was instantly impressed with the clarity that it brought to a difficult decision that she needed to make. Over the next few months she began using NPA in everyday life, joined the NPA Community and benefitted enormously from the support of the Community Calls during a challenging time. 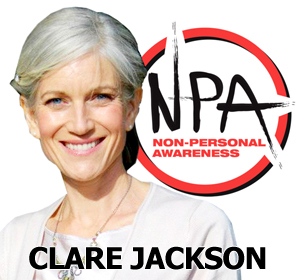 In 2011 Clare began to introduce NPA to her clients, and when in 2012 she received the email announcing that Joel was looking for teachers, she “practically leapt off the sofa and onto the plane”, knowing that this was exactly what she wanted to do. “There are many things I love about NPA, but the one I love the most is it’s flexibility. Anyone can use it, anytime, any place, anywhere, and on anything! NPA will meet you where you are at, and help you to get to wherever you need to be. If you can just give NPA the tiny little bit of space it needs once a day, it can just get on with it’s work, while you get on with your busy life!